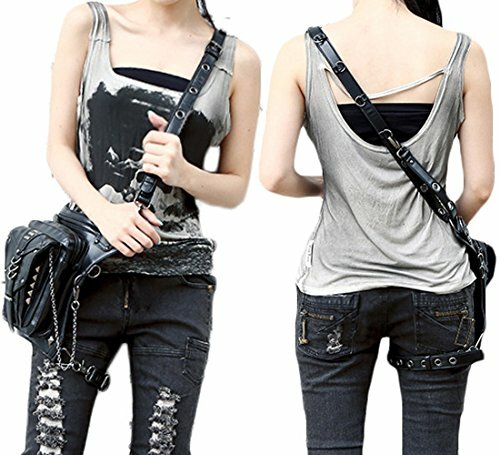 PU Leather material: Make it durable and provide strengthen with minimal weight. 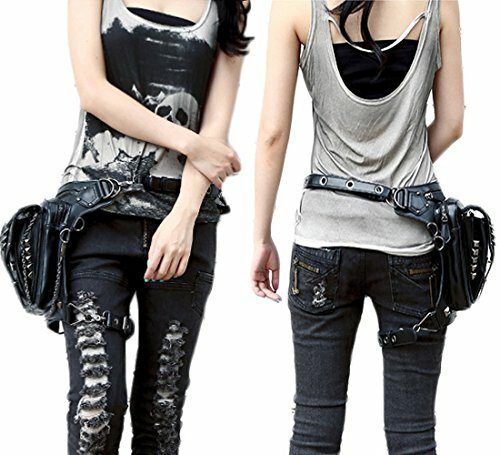 Size:8.4*1.2*11.6 in（L*W*H）.Length of waist strap :59in,Length of leg strap :19.6in. 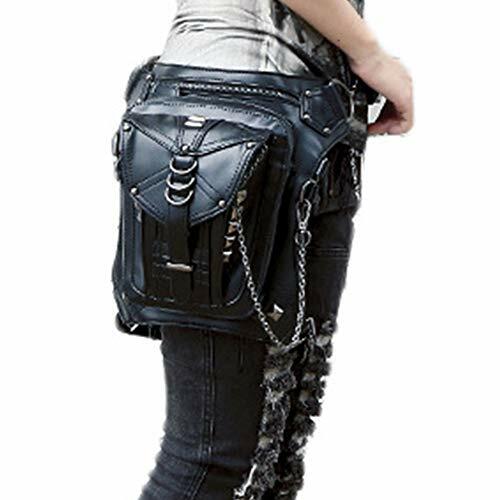 Purse is small, but the function is very powerful. 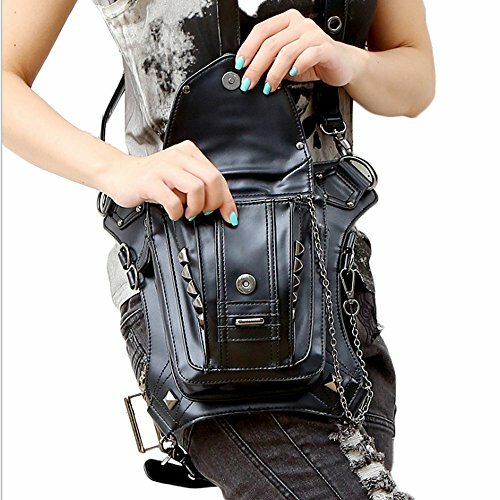 Flexible main storage compartment. 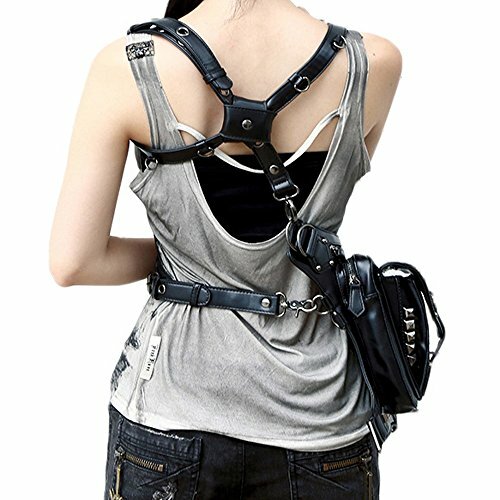 Waist and drop leg straps adjustable, Let your movements more comfortable. 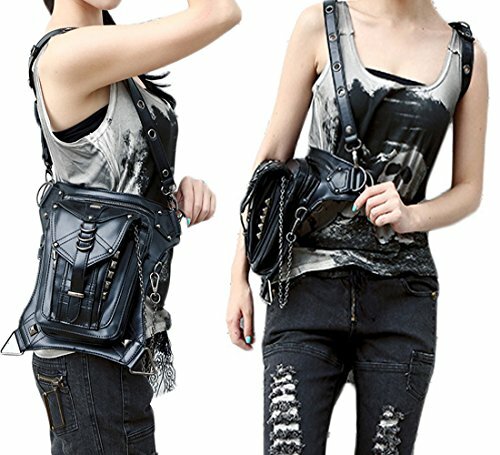 Ideal for travel, work, school,hiking, camping, cycling and other outdoor activities. 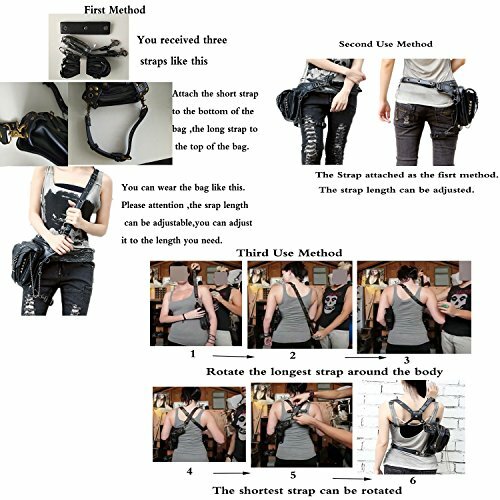 Multi-purpose drop leg/arm bag for outdoor bike cycling multi-purpose messenger shoulder bag.Great for military personnel, campers, hikers, fisherman, outdoors men, students, etc.